04. 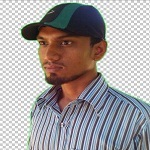 Try to work big project in the freelancing Web sites. Address: 7/2/D West Hazipara, Rampura, Dhaka-1219.